Jason has been doing hair for over 23 years. He strives to bring a sense of style above the rest to his hometown, Santa Cruz. He started his career assisting Nino Fagiono, hall of fame hairdresser, and became a Nexxus color educator. He then moved on to assist Boyd Tiznor, former Boyd for Hair and Lather Beauty Lounge creator. 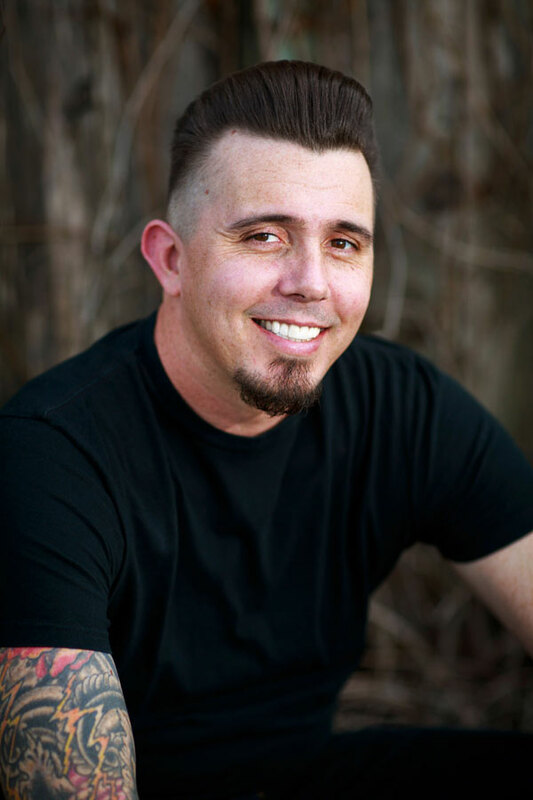 While working under Boyd, Jason got to refine his finishing skills and got comfortable thinking outside the box to really let his creativity flow with cuts and color, as well as mastering the art of real and synthetic extensions. Jason has always had a passion for wanting to know all aspects of hair, wanting to know everything he could about the hair color chemistry world. He finally met his true mentor, Noreen Hoover, who was a platform color educator for IT&LY Hairfashion and a salon owner. Following in her footsteps, Jason became an internationally trained IT&LY Hairfashion educator. Always furthering his education he attended advanced color and cut training at TONI&GUY Hairdressing Academy and cut and color classes at Oribe, Vidal Sassoon, Centrix, Bumble and Bumble, IT&LY Hairfashion, Jingles, Rusk, Oster, Whal, Martin Parson, Nicholas, Dome, Cinderella Hair Extensions, Chenis, and Hotheads Hair Extensions. In 2002 he opened Stranded Beauty Bar with his wife, Roxann Burdick.